Hi Sewing friends! A little while ago I sewed up some fun colorful bibs for my 2 year old and promised a tutorial to show you how I made them. Well today I'm sharing my Pullover Toddler Bib tutorial over on the Fabric.com blog. They sent me the cutest fabrics to work with. When Tom saw me sewing with it he immediately pointed to the 3 little pigs and said "Look, piggies, mom". Please click on over and check it out and let me know what you think. 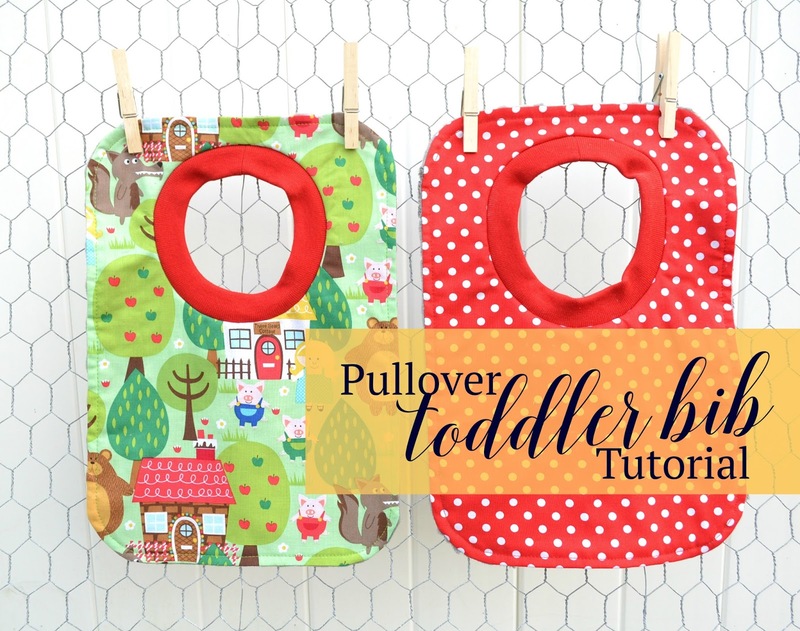 If you make some I would love to see, just tag me on Instagram @bluesusanmakes #pullovertoddlerbib, or send me an email. This Tutorial is a variation on my original Pullover Bib tutorial found HERE.